of poaching that had been long forgotten. The Secret People is my recollection of growing up in a rural environment where older people lived life that still relied on herbal preparations and ‘simples’ and poaching for the pot - and if that is classed as ‘romantic’ in some eyes then so be it. I feel myself privileged to have experienced a rapidly disappearing way of life, and damned lucky to be able to remember it … and in CRONE! to share many of those enduring memories that have accompanied me through life. Few of The Secret People could be called traditional witches by any stretch of the imagination, and many would have been mortally offended to be referred to as a ‘witch’ or ‘pagan’. Few parish-pump witches would have thought about the skills they possessed since these were natural abilities, and even fewer wise women and cunning folk would have had any concept of the sombre and often dangerous rituals required for the raising of energy needed in the practice of true witchcraft. Theirs was a knowledge that filtered down in the form of spells, domestic plant medicine and country lore, imparted to offspring, friends and neighbours, who in turn handed it down to their children ... and so on down through the generations. In fact, in his Dialogue Concerning Witches and Witchcraft (1603) George Gifford observed that local wise women ‘doth more good in one year than all these scripture men will do so long as they live’. The Secret People would have greatly outnumbered the practitioners of traditional witchcraft since the practical abilities that define a true witch are bred in the bone and not everyone can lay claim to the lineage. The skills of The Secret People can, however, be learned and perfected with practise and for those who struggle to find a label with which to empathise, it is hoped the lessons taught here will help the reader to establish some sort of identity that sits comfortably with them. Today, under the ubiquitous umbrella of paganism, the parish-pump witch runs the occult shop in the high street, the wise woman dispenses Reiki healing and the cunning man has become a professional tarot reader. The countryman’s world has disappeared under a sprawl of urban housing and ring roads, while the poacher has yielded his domain to the brutal gangs who slaughter wildlife on a commercial scale – even the poacher’s dog, the lurcher, has found his niche in the ‘fly-ball’ event at Crufts! to search for it and rediscover our identity. 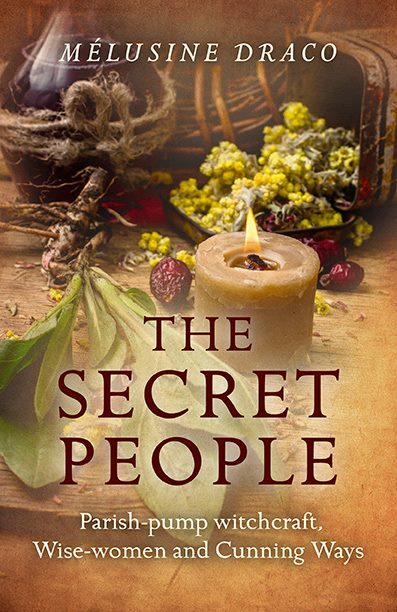 You can view The Secret People on Amazon. It is published by Moon Books.